I'm Alison. I've been blogging for 11 months. I review mainly YA with a few MG books and a weekly manga feature. 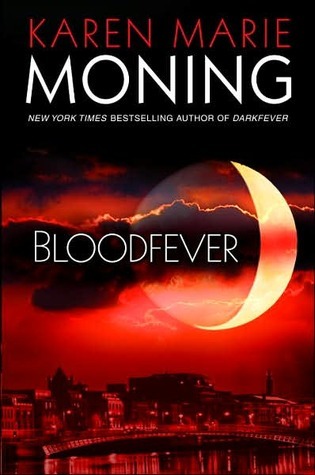 A Touch Mortal has a really cool cover and so does Bloodfever. I love all the read! I haven't read anything by Rachel Hawkins but she's gotten heaps of good reviews so maybe I should rethink that, lol. Looking forward to seeing what you think of all these books! Looking forward to reading your reviews, especially on Demon Glass. I am still indecisive about reading this series. You got really awesome books! I was supposed to go to the library a week ago to borrow Please Ignore Vera Dietz but someone got there before me. Anyway, Demonglass is really awesome. 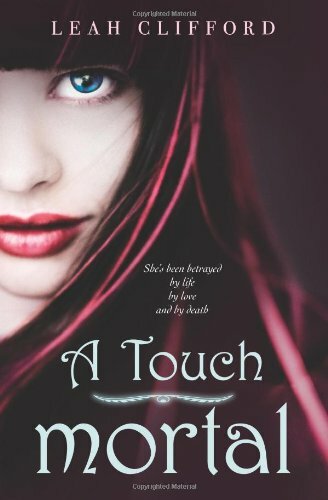 I have Touch of Mortal in my TBR. Great books. Happy reading! I LOOOOVE the Fever series, so I hope you're enjoying it too! 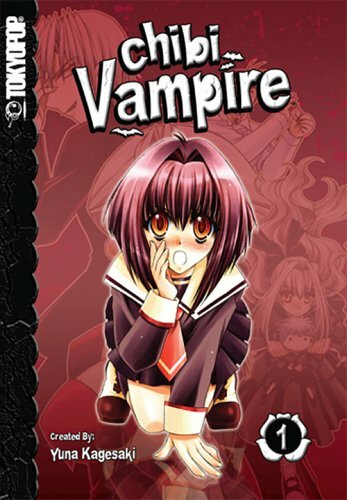 oh hohoho chibi vampire is just adorable, i read it on my ipod and it was sooo sweet! enjoy your books and manga! I'm curious to see what you think of Please Ignore Vera Dietz. I read another book by that author and I hated it, so it's kind of turned me off to anything else she's written. I've heard such good things about PIVD though, so I'm not sure. Ooooo so many good books this week Alison! I adored Demonglass and of course the Fever series rocks. I have A Touch Mortal on my shelf and am looking forward to starting that one! I've heard so many good things about the Fever series. Unfortunately, it is written in the first person and that is one of my pet book peeves. I still have to read Hex Hall!!! Oooh, so excited to see Demonglass in your IMM! I LOVED it, it was even better than Hex Hall. I can't not wait for the 3rd book! Here's my first IMM! Isn't the library wonderful? My problem is that I find more books that I have time to read! Great mailbox! Enjoy! Some fantastic books there! I still have to read Hex Hall- which I've been meaning to get for AGES. Plus, I absolutely loved KMM's 'fever' series, I seriously couldn't focus on anything else until I'd read these books! Happy reading! Fantastic books! I'm looking forward to your reviews! Happy reading! Please Ignore Vera Dietz is one of my favorite books! Some great books this week. 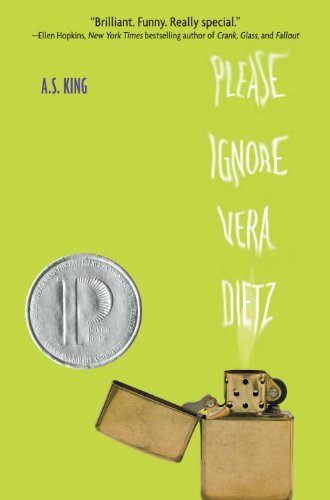 I really really want to get Please Ignore Vera Dietz I may have to buy it soon. What a great week! Your books look great, happy reading! Yay to the Fever series! Do you love/hate Barrons yet? Can't wait to see what you think of Demonglass! I loved it to bits ;) Looking forward to reading A Touch Mortal as well. Great haul! OMG! Please Ignore Vera Dietz! I so want to read that but unfortunately, I haven't been able to find a copy. Thanks for dropping by my blog. Have a great weekend! I am waiting to read Demonglass - i put a request in for it at my library but they still haven't bought a copy, don't know whats taking them so long. I'll look out for your review - see what you think. Thanks for stoppying by my blog. I'm a new follower...can't say I have heard of most of these. Lookin good!!!! 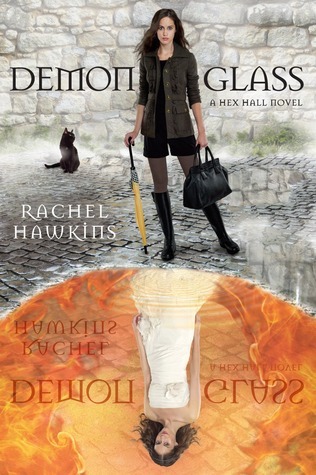 I hope to read Demon Glass soon! Hi, Alison! Thanks for visiting my blog. =) I'm not familiar with most of the books on your list. I'll have to check them out. I love being a twin.